Fresh Herbs – From the Garden to the Plate! Herbs from the garden – there is nothing like them! Even if you don’t want to grow vegetables in your garden, it is extremely satisfying, fun and useful to grow some simple herbs in your garden. If you are a keen barbecue cook, growing some herbs with a higher oil content close to the barbecue, is a great thing to do. Rosemary and Thyme being a must here. 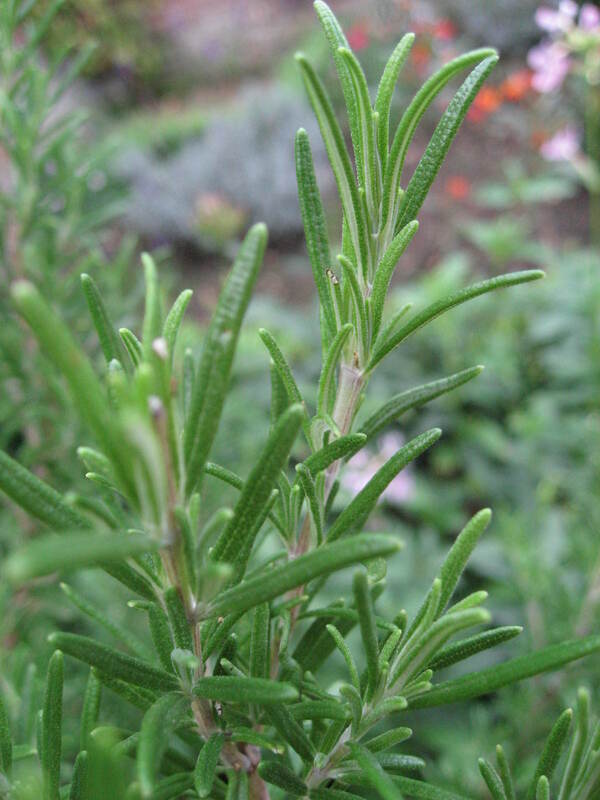 Rosemary can be used in so many ways – chopped finely, it is wonderful in flatbreads. Strip the leaves and use the stalks as skewers for lamb kebabs or simply throw a handful of the courser stems straight onto the coals to flavour your lamb chops with the pungent smoke. If you like the flavour of rosemary, you will love ginger rosemary! It has the flavour of the common rosemary but with a hint of ginger. It is superb. Thyme is another great herb for barbecues. Crush it and rub it straight onto you steaks and let the flavours merge. But don’t stop there. Chop some lemon thyme finely and add a little to cookie dough – the resultant cookies are to die for! Like Rosemary, it makes a great addition to bread and goes very well with chicken. The great thing about thyme is that it can cope with dry conditions so is happy in pots and troughs, so no excuse not to have some close to the kitchen door. I also like to plant herbs amongst flowers making sure you know which is which of course. Chives, Rosemary; Borage; Fennel and Sage all look great either for their flowers or textural leaves. Thyme makes a great groundcover plant and of course Nasturtiums bring a dazzling bright show to the garden as well as in your summer salads. For drama, plant the short lived Angelica. It looks fantastic in the garden and you can use the stalks to make candied angelica which is way better than the shop bought stuff. 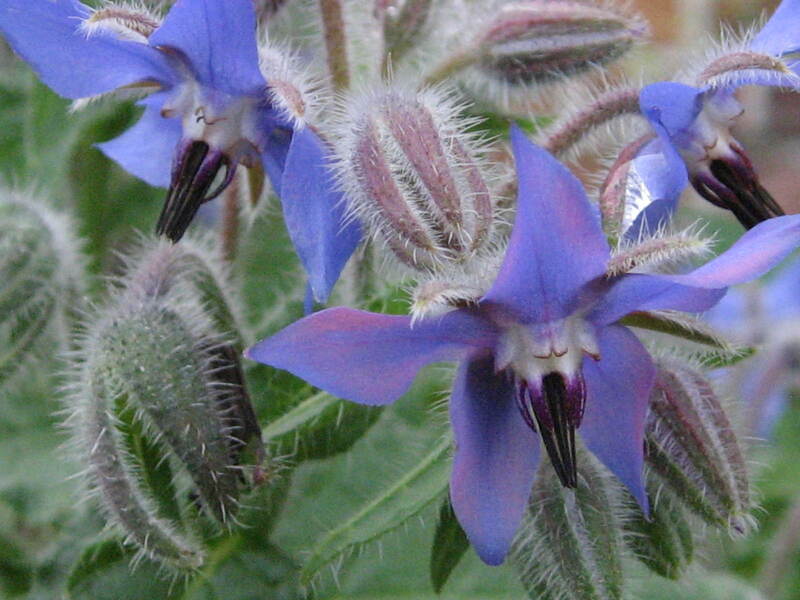 The striking blue of the borage flowers add a real summery look to your salads but do watch and use borage in small quantities as the leaves contain a toxin that can cause damage to the liver if ingested in large quantities. Fennel is another useful plant that, as previously mentioned, is attractive in the garden. The mild sweet aniseed flavour goes well with fish and chicken and is a good addition to salads. I am afraid I find it difficult to pass a fennel plant without picking a fresh stalk and munching it while working! If you want to experiment and plant less well known herbs, then try Salad Burnett with its mild cucumber taste. Sweet Cicely is another aniseed flavoured herb which is delicious in salads. The flowers are also a gourmets favourite. Sorrel provides an alternative lemony taste. Sometimes described as sour spinach, it makes a great summer soup. The fresh leaves of Lovage has an astringent celery flavour that again adds a different taste to salads. Mint as you know is not one to grow in open ground unless you want a mint lawn. However it is an important and versatile herb to have in the garden, so growing this in pots makes common sense. This has an additional advantage of allowing you to grow several varieties. So in addition to the standard mint, try Moroccan mint which is more fragrant and pineapple or chocolate mint both of which adds a refreshingly different taste to vanilla ice cream. So whether an obsessive gourmand or a week end dabbler, growing herbs is a good thing. Interesting to observe, easy to grow and, well just great fun!